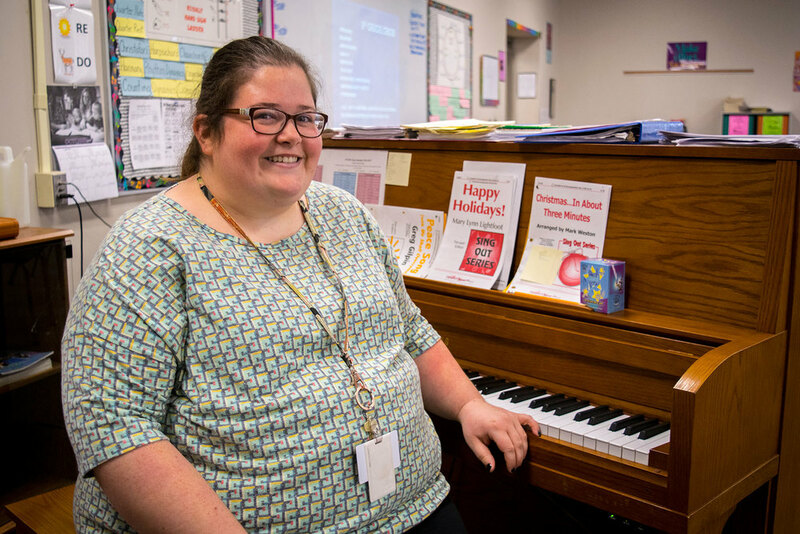 "I wanted to become a choir teacher because I’ve always enjoyed singing in choirs and music is one of those things that just connects everyone no matter who you are; there’s at least one song you can connect with and I just thought it was a good way to connect with students and it’s an easier way for me to do that. It affords me the opportunity to connect in a way where I can actually get to know the students. I don’t have to teach to a test. I can teach them music and we have a chance to have conversations about the music and what inspires them with music, so every day, in addition to our regular classwork, I’m showing a video and they have a chance to tell me what they liked about it or what they didn’t like about it. It’s just a chance for them to be themselves. Teaching students who are engaged in the music is definitely a moral boost. It was really exciting this summer to be in a show with some of my students because I was in “Willy Wonka” and it was really great to see them succeed in that. Getting to know the kids is the best part of my day; watching them interact and observing their personalities. My advice to them is to own who they are and let their truth shine."